Male models are too often under-appreciated, and viewed by the masses as “props” there to create scenes with more elaborately-dressed female models, so it’s always a special opportunity to feature a male model as the sole “star” of a shoot. I recently had such an opportunity while working with the supremely skilled Croatian wedding, fashion, and lifestyle photographer Martina, as together we shot the up-and-coming male model Hasan. 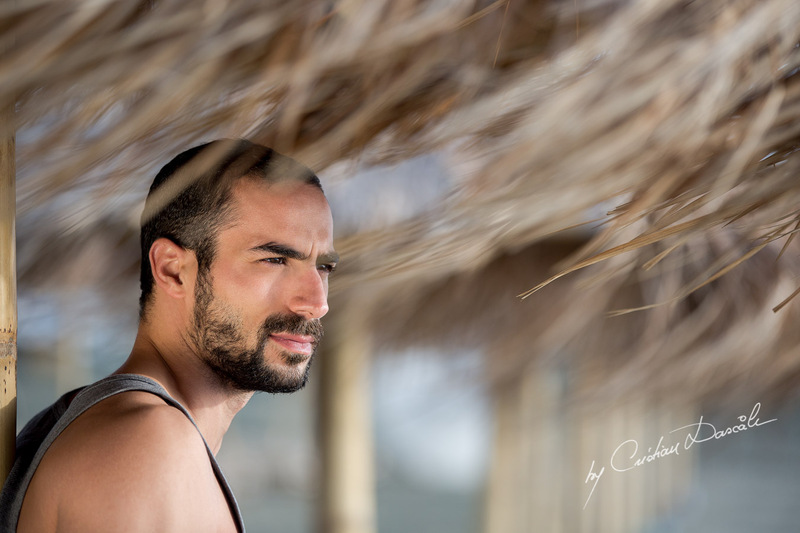 This model Photo-shoot (at Saint Raphael Beach) made me contemplate the qualities that make a great male model. Male models must be particularly striking, creative, and possessed of that indefinable quality known as “presence”, if they wish to succeed in the business—qualities Hasan most definitely has a great wealth of. His look is reminiscent of more Mediterranean, Middle Eastern (Hasan was born in Israel) David Gandy, with well-chiseled, masculine features, piercing eyes, and dark hair accentuating the cut of his jaw and cheekbones. Such strong features romance the lens of any camera, creating vivid photographs which seem so dynamic that their subject leaps off the two-dimensional surface of the image and comes alive before our very eyes. But probably the most wonderful quality about Hasan is his relaxed, casual, yet powerful confidence. 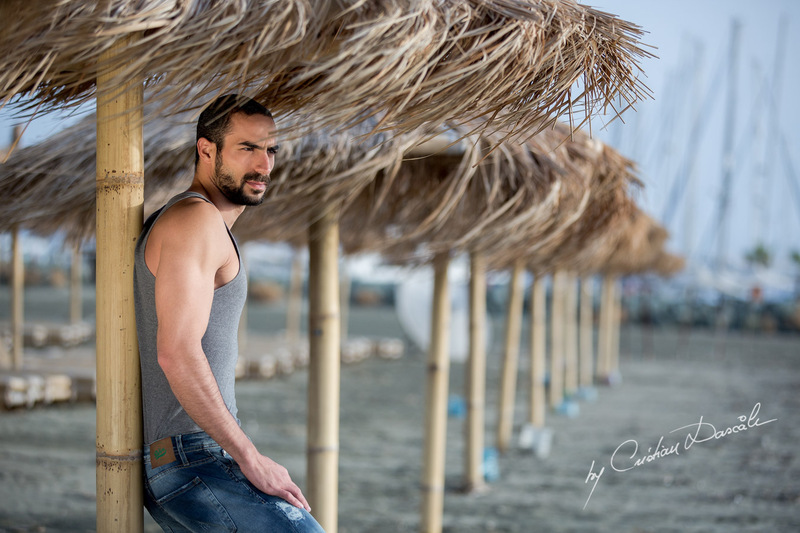 He was the ideal subject for a beach photo-shoot as his personality so perfectly fit in with that environment, his candid poses blending seamlessly the with holiday atmosphere of sun, sand, and surf. As you can see, he looks right at home within the pocket of tropical-looking paradise that is the Saint Raphael Resort, the wind stirring his clothing and the natural light brightening his dark eyes. As far as models go, Hasan truly can be called a “natural”, and we photographers only had to use our ability to judge the right timing and framing in order to capture the soul of his gifts as a model. Hasan is currently available for bookings, so feel free to contact him if you’re looking for a talented male model to use in your own photo-shoots.